Soma, a little town in western Turkey, has a population of about 10, 000 and a coal mine. The latter is operated by Soma Holding, whose CEO Alp Gürkan is close to the governing AKP. The group recently implemented ongoing cost-saving measures, and praised itself for massively reducing the price of coal. A safety-check demanded by the CHP opposition was denied a few weeks ago by Erdogans’ AKP, and so the inevitable happened: after a “technical fault”, the death toll is currently 298 workers, but the number keeps rising and more than 100 workers are still missing. 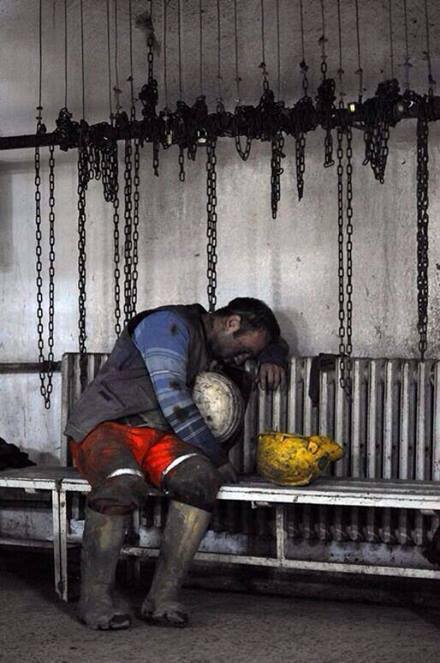 Numbered among the dead is a 15-year old boy who was working in the mine. However, Premier Erdogan has stressed that industrial accidents are “normal” and happen everywhere, all the time: “If we look into history, 204 people died in England in 1862, 361 in 1866. Also in England 290 people died in 1894.” He wouldn’t have needed to refer to England of the 19th century, his own term of office provides enough examples: On November 22nd 2003 10 workers died in Karaman-Ermenek due to a gas explosion; on November 8th 2004 19 workers died in Kastamonu-Küre; June 2nd 2006, Balıkesir-Dursunbey, gas explosion: 17 dead workers, December 10th 2009 Bursa-Mustafakemalpaşa, gas explosion, 19 workers dead. 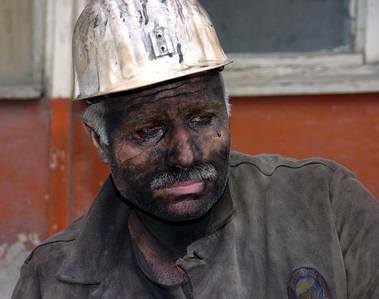 On May 17th 2010 another 30 workers die in a gas explosion and on January 8th 2013, 8 dead workers in Kozlu. 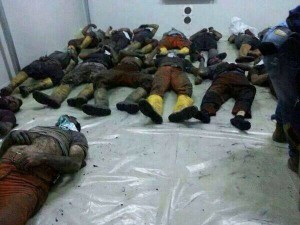 Turkey has a reputation as a country of “industrial accidents”. Unions, left-wing activists, and revolutionaries see the dead as victims of a systematic “murder”. This is not unreasonable. The neo-liberal accumulation of capital in Turkey is based on accelerated exploitation of the workers. Low wages, no rights, fucked up working conditions – all part of everyday life. For the companies it simply doesn’t matter if there are accidents. They willingly take the risk as long as there are profits. In this respect, the protest movement forming in the wake of Soma has adopted the phrase “Kader degil, katliam” – “Not fate, but massacre” as its central slogan. 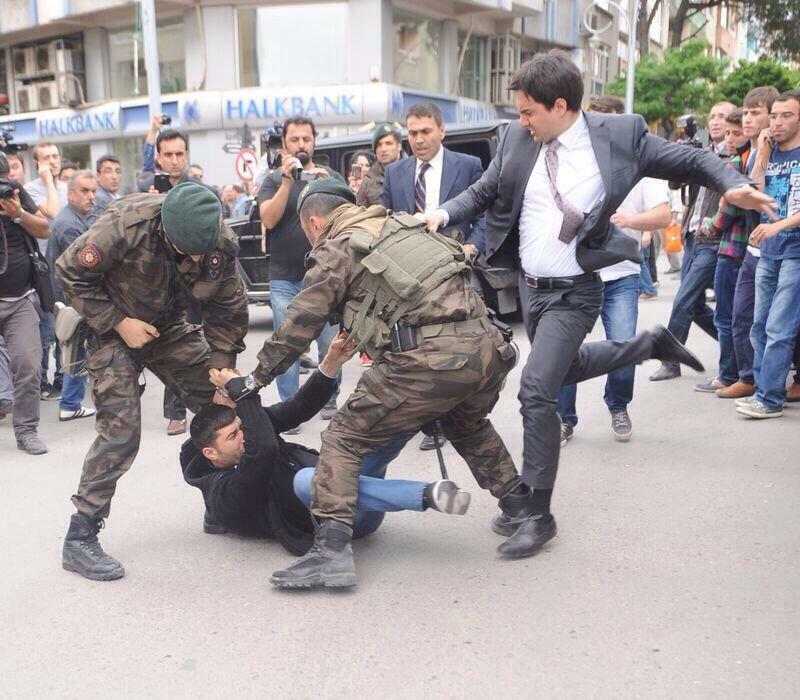 Erdogan’s government reacted to the nascent protests as per usual: with massive violence. Even in Soma, a village usually not known for its revolutionary spirit, clashes started after the Premier held his speech and the picture of Erdogan’s advisor, Yusuf Yerkel, kicking a mourning person went viral. The first demonstrations in Ankara and Istanbul have been attacked with teargas as usual.